You know that vacation montage video you uploaded to YouTube – the one where you combined all those pics of your friends with the Foo Fighters song you love? Congrats, it’s awesome! But besides the Foos there’s one other group you need to thank for its existence – YouTube’s rights management team. For it’s not Dave Grohl’s love of amateur video that’s allowing you to use their music in your creation. Nor is it necessarily fair use. No it’s YouTube having pioneered the model of “micro licensing,” where they’re able to identify the copyrighted content, monetize it on behalf of the owner, who de facto permits you to use their IP. This innovation, and the scale at which YouTube is able to deliver, may be the most underappreciated innovation of YouTube, one which solves copyright questions via dollars and shared incentives, not legal wrangling. Everything is going digital, a format which by its very nature lends itself to creative manipulation. When we designed the virtual world Second Life, much of the focus was creating an object model which allowed different types of permissions. Creators of objects – whether they be clothes, cars, furniture or, well, anything – need to be able to both protect their exclusivity but also allow for free copy and modification, if that’s what they desired. Similarly Creative Commons has tried to acknowledge and support new frameworks for remix culture and today sites like Flickr and Wattpad embrace this more nuanced understanding of copyright, putting creators in control of their work. But YouTube dwarfs all of these previous efforts in both scale and value of the copyrights they’re dealing with given the economics of music/video licensing. (Note – it’s a good time for me to note that (a) IANAL and (b) I understand that what YouTube has set up isn’t a change to the copyright/fairuse/DMCA process but actually a business relationship outside of these laws. Some folks may assert that it’s much more important to get case law changed – because it applies to everyone – rather than have wealthy companies build systems outside of the legal framework). Why do I love what YouTube has created? Because it allows for tens of millions (hundreds of millions?) of videos to be made better by combining different pieces of content. Because it’s elegant in acknowledging that content has commercial value and if you use someone elses, they deserve to be compensated. And because it creates a subversive new normal – a generation grows up assuming you can just remix things. And if this applies to videos and music, why can’t it apply to other things. Like ponies. Like ponies? 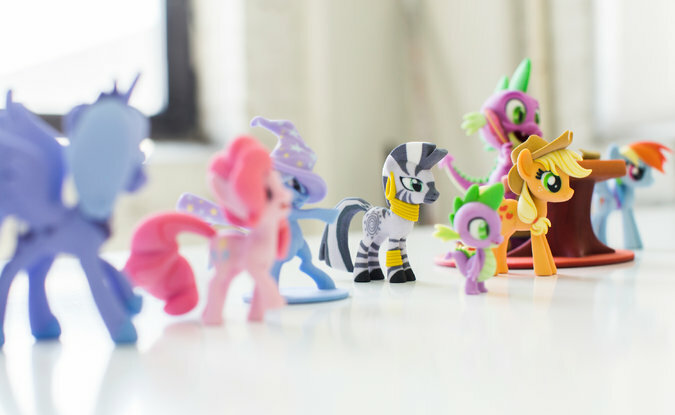 3D fabrication company Shapeways has a very novel collaboration with toy company Hasbro where fans can modify, print and sell their own versions of iconic (and now hipster) toy My Little Pony. As 3D models became mainstream there’s going to be increased desire for fans to intimately personalize and remix the icons they care about. Applause to Hasbro for starting to think about the economic model behind that. It’ll help them – and others – structure the rights deals they need to support more ventures like this. My guess is that the biggest changes to copyright come not from the American legal system but from entrepreneurs, technologists and capitalists who see opportunity and a way to grow their markets rather than fight over a fixed pie.